Arrested Again: Father Lu Gen-You is now arrested again. He is being held at the detention center in Shao Jia Zhuang, Wan Xian , Hebei Province. He is not allowed to see anyone. Reported Arrest Before. Still Not Released: Father Yan Chong-Zhao who was arrested in September 1993 has not been released. He is being held at the detention center in Guang Ping Xian in Hebei Province. Reported Arrest Before. Still Not Released: Father Li Shang Jin, previously reported as Li Jian Jin, arrested on March 4, 1994, has not been released. He is being held at the detention center in Ma Pu Cun, He Sha Zhen Xiang, Han Dan Xian, Hebei Province. Reported Arrest Before. Still Not Released: Father Lu Dong-Liang, previously reported arrested on May 6, 1994, has not been released. He is now being held at the detention center of Guang Ping Xian, Hebei Province. Intermittent Arrest & Release: Bishop Han Ding Xiang has now been arrested seven times. The latest arrest was on May 19, 1994 and was released again. 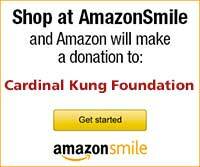 New Arrest Father Sun Hua Ping was arrested on June 30, 1994 in the home of his parishioner. He is now being held at the detention center of Lin Ming Guan, Shi Zhuang Cun, Yong Nian Xian in Hebei Province. New Arrest: Ms. Wong Rui Ying was arrested in June, 1994 in her house. The security officers also took away the tabernacle with the consecrated Holy Hosts inside from her house. She is now being held at the detention center in Cheng An Xian in Hebei Province. New Release: Rev. 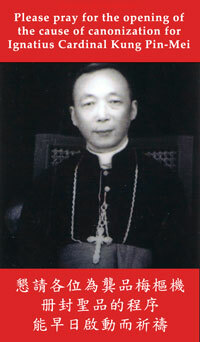 Vincent Qin, S.J., Rev. Li Zhi-Xin, and Mr. Wang Dao-Xian are now released.